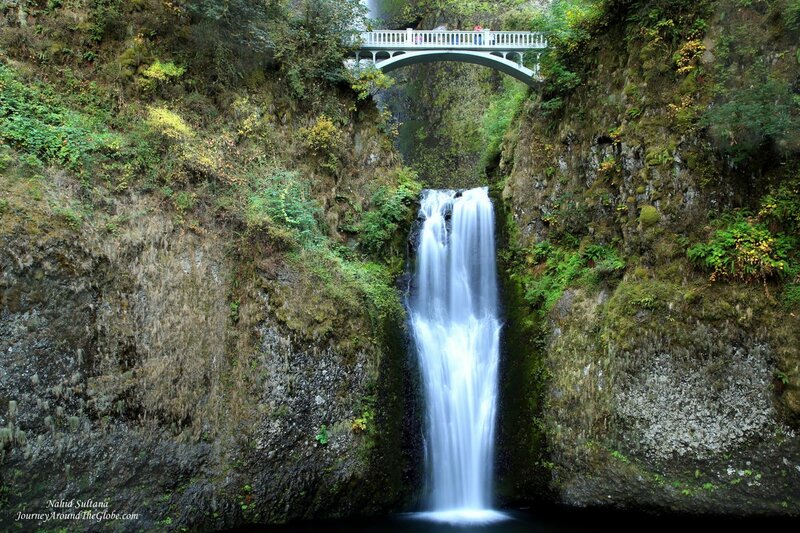 MULTNOMAH FALLS, OREGON: I have visited this magnificent landmark of Oregon few years ago before moving to Europe. We have been here few times with families, friends, and visitors. But everytime I was there, no matter which season and time, I could feel the force of that flowing water just by looking at its height. But one of the best parts of visiting this falls is not just the falls, it’s the bridge and walking over that bridge looking at both upper and lower sides of the water falls. Located on historic Columbia River Highway, Multnomah Falls is our nation’s 2nd highest year-round water falls and receives over two million visitors each year. Water flow of the falls varies, but winter and spring is the most spectacular time to visit it. The upper falls here is 543 feet, lower falls is 69 feet high, and an additional 8 feet in between. “Multnomah Falls was created when massive flood scoured out the Columbia River Gorge, leaving the falls to hang.” (Tourist board). 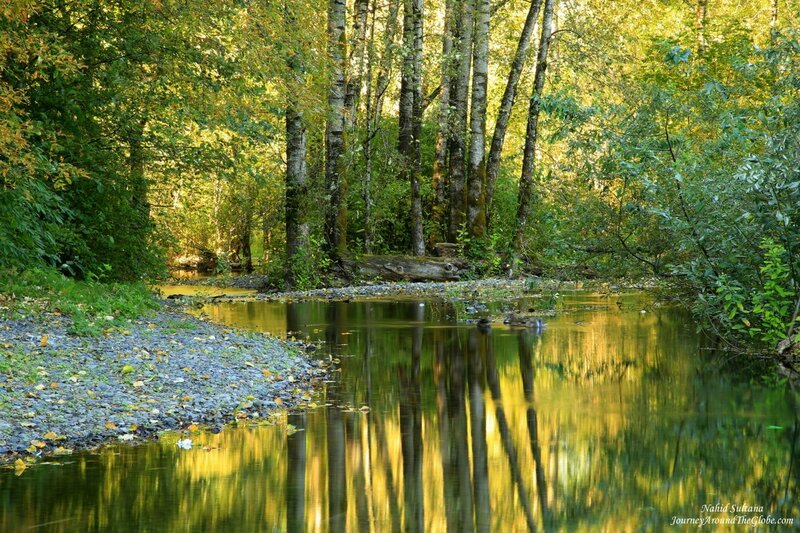 The original bridge over Multnomah Creek was built in the early 1880s out of log poles. 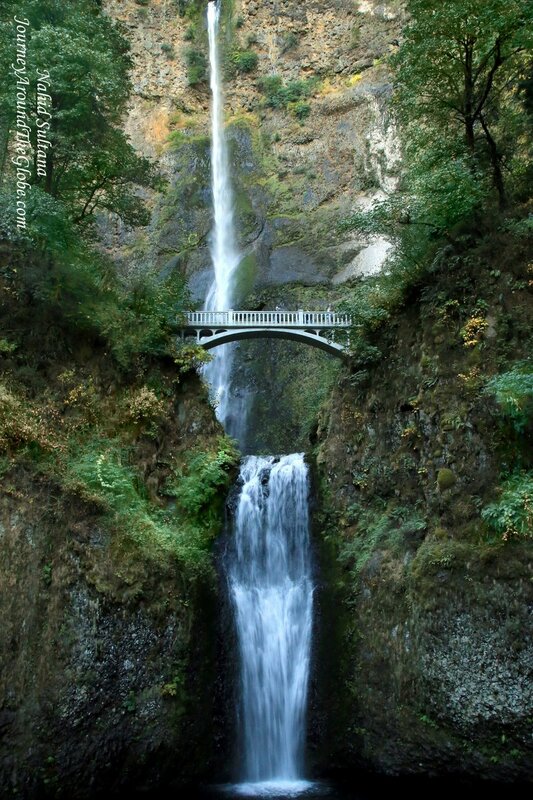 After it collapsed, this present one was built in 1914 and was named after a strong advocate for the Historic Columbia River Gorge Highway and Multnomah Falls, Simon Benson. 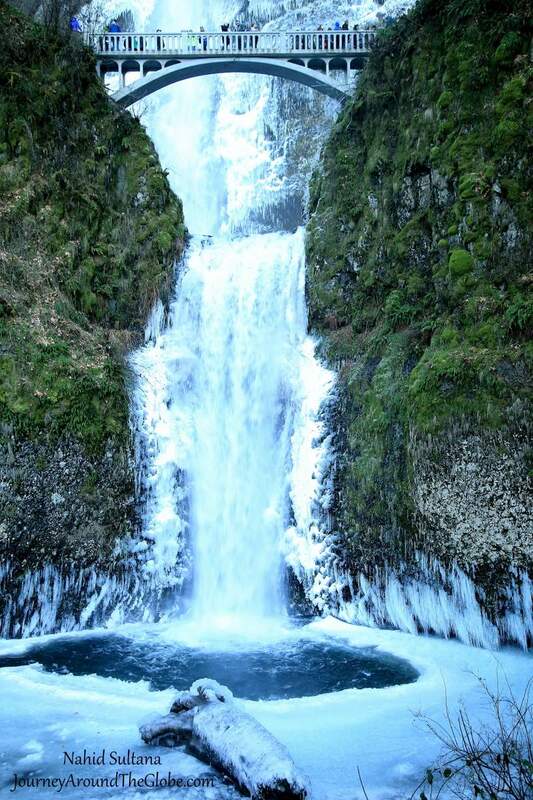 In September 1995, a 400-ton rock slid from the upper Multnomah Falls and dropped 225 feet into the falls upper plunge pool. A wedding party was drenched when the slided rock sent a 70-foot splash over the historic Benson Bridge. Go inside the old lodge which was built in 1925 by the city of Portland to capitalize on the growing tourist trade of the Columbia River Gorge. You can find snack bar, gift shop, full-service restaurant, and a US Forest Service interpretive center inside this lodge. There are about 77 falls on the Oregon side of the Columbia River Gorge and more than 5 major falls and few viewpoints around this area. But if you are in Portland, this is almost a must-see spot here. It’s our pride and joy. I finally visited this falls in winter and it looked as beautiful as it does in summer days. Here is a picture taken on January 1st, 2015.